Stories trump other forms of information making them important for your brand. 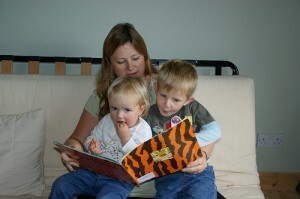 Images take stories beyond plain text and words; they provide context for the listener and make memorable associations. As a result, one image can be more powerful than the associated words. As a marketer, use the power of images to tell your brand’s story concisely to today’s content snacking consumer. Even more valuable to your brand are stories that get people talking. Don’t believe that images help tell your brand’s stories? Then check out these five ways that images work their magic. Play to your audience’s natural desires. People are hard-wired to look at pictures, especially if they contain other people. Images satisfy and delight your audience. Offer snack-size content. Images are easy-to-consume content. Unlike a long block of text, they’re inviting. Even a “Where’s Waldo” picture that might take the reader a while to discern is entertaining. Provide proof for your audience. Seeing is believing. There’s truth in the saying that one image is worth a thousand words. By showing images, you lessen the potential for your audience to think you’re lying. People trust their own eyes more than they do the words they read. Images eliminate the promotion and corporate speak. Are share-friendly. Data show that photographs work better on Facebook and other image-oriented social media platforms like Pinterest, Instagram and Tumblr. Even LinkedIn and Twitter have facilitated the use of images. Enhance your brand in a tangible way. Without images and related stories, it’s difficult to build a core audience for your brand. 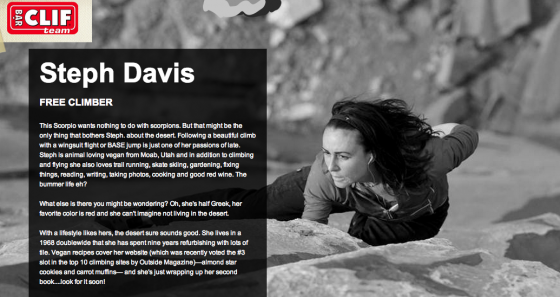 It’s your images and stories that set you apart for your competitors and attract customers. At their core, your brand’s stories must resonate with your target market or they won’t pay attention. Here are five ways to build your brand’s story with images. Tell a narrative with beginning, middle and end. Just as you wouldn’t show up for the last half hour of a movie because you wouldn’t understand the context and build up, your brand’s narrative needs to have a beginning that sets the scene, a middle where the action develops, and a conclusion that resolves the conflict. You can do this with multiple images or with one powerful picture. Give your story an emotional arc. This answers the question of how you want your audience to feel before and after hearing your story. Your narrative needs to have an emotional conflict and related resolution. Use words and images that create the feeling you want to instill in your listeners. This element of storytelling is important because associating an emotion with a product builds brand attachment and loyalty. Create characters your audience can relate to. Love them or hate them, your audience must be emotionally invested in your actors’ fate. Show your audience who your characters are with photographs. This helps make your brand real. Be honest. Be human and tell the truth. In today’s connected world, someone is going to call you out for lying. Images help show your audience what the real story is. Make your story worth retelling. Your brand’s story should provide your audience with value in terms of social currency. They give your viewers something remarkable to relate to their family, friends and social media connections. 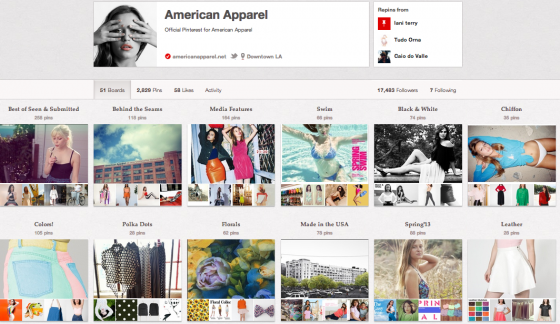 Further, the process of repeating the information and sharing the images reinforce the associations with your brand. To help you better understand how to use visual storytelling to build your brand, here are examples from three different companies. Lululemon manufactures and sells yoga related sportswear and gear. They’ve got a zen approach to their business and they let their employees and customers tell their stories with images that underscore the power of their brand. 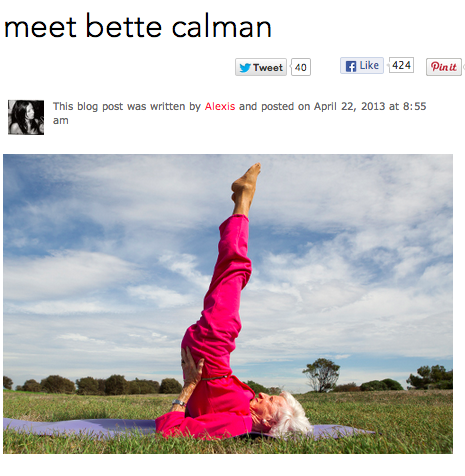 Here’s a photograph of Bette Calman. The photograph of her doing yoga at age 87 made me consider the need to start doing yoga. 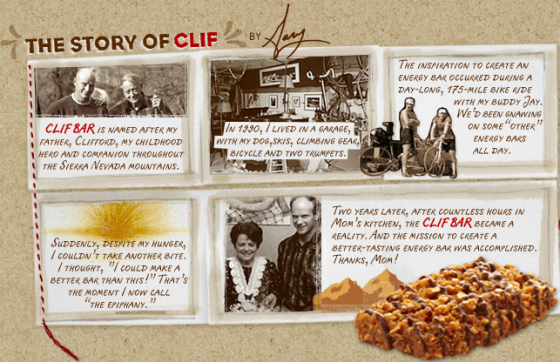 Clif Bars are great tasting power bars that have built a community of over 1,500 pro and amateur athletes around them. Their message is that it’s not only important to be an amazing athlete but also to be a nice person and kind to the environment. 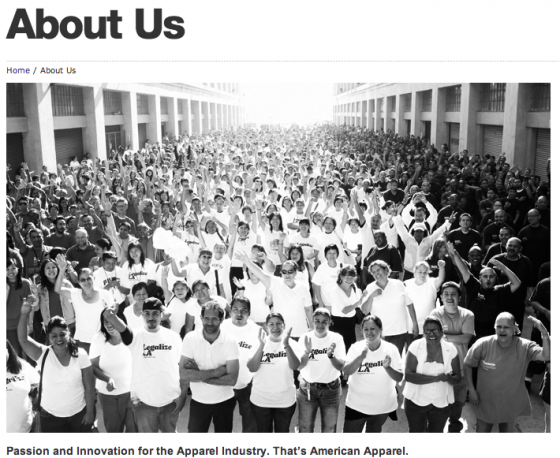 American Apparel is a clothing store made in America, ironically started by a Canadian from Montreal. It supports its labor force with above average pay and champions immigration reform. It uses photographs to show the faces of its employees as well as their product. Leverage the power of images, especially photographs, to tell your brand’s story while making it memorable and shareable. What other brands use images well to tell their stories? What has your experience been using images? Tags Brand, image, Storytelling, Tips. Bookmark the permalink. Thanks for sharing Heidi! I love the part about sharing stories to build an audience. Who doesn’t love a story?